Golden brown with pale yellow stripes; 1 to 1-1/2″ long. The European hornet, also called “Giant hornet”, likes to build paper nests in hollow trees, barns and out buildings. However, they will also nest inside the walls, attics, and chimneys of buildings, and abandoned beehives as well. Nests are sometimes also constructed on the exterior sides of buildings. Like Yellow Jackets and bald-faced hornets, European hornets aggressively defend their colony if it is disturbed. Loud nearby vibrating noises from lawnmowers and leaf blowers can cause hornet workers to sting people and pets. This wasp is much larger than Yellow Jackets and unlike most other stinging insects, this one can be active at night as well as during the day. They’re attracted to light and are known for banging on lit windows at night, similar to June bugs. European hornets can do a lot of damage to trees and shrubs because they strip the bark to access sap and use that to build their nests. They’re capable of stinging multiple times and are venomous. A sting by one of these may require medical attention. European hornets feed on a variety of large insects such as grasshoppers, flies, Yellow Jackets and honeybees. Removing the nest is the only way to effectively eliminate a hornet colony. 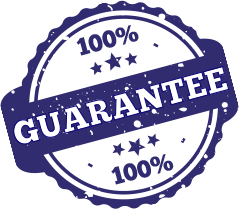 Hornet colony removal should only be done by an experienced professional and is tricky because they’re active both night and day. The danger of stings is considerable. 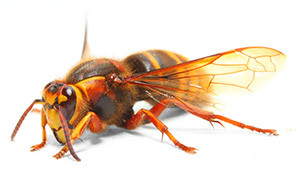 The European hornet is NOT a DIY pest.